We had a quiet Valentine's Day, but it was full of lots of sweet things. Kayleigh's first! We brought her with us on our "date." It's so much fun to celebrate little things like this with her. 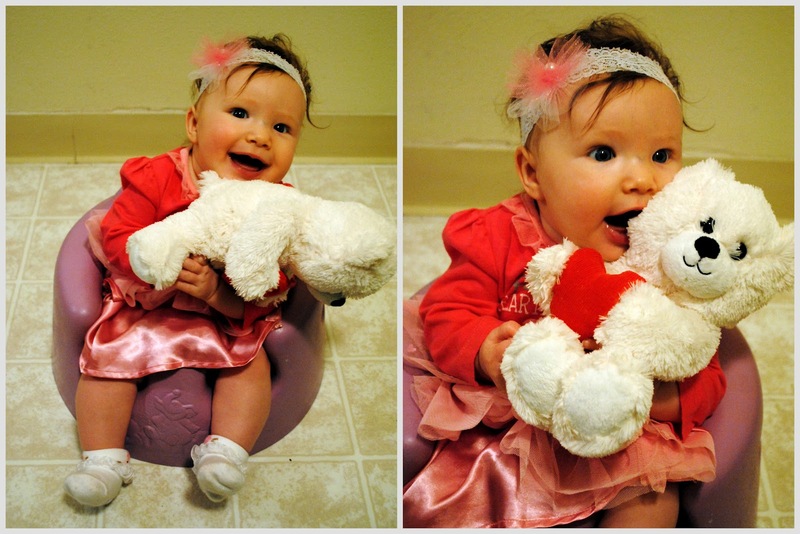 We just love our little Valentine! And Kayleigh loves the Valentine Bear [Great] Gramma sent to her in the mail. After our munchkin went to bed, Jesse brought out the dessert that he had made as a surprise for me: pavlova! I was so impressed that he made it all by himself. It was amazing. I told him that this is my new birthday cake request. It was a wonderful Valentine's Day! Your daughter is adorable! And that looks tastey; love it when the men hit the kitchen! It's a treat, isn't it? I've become so careful with the money that I spend on food, that if I would have to go buy more than 2 ingredients for a recipe, I often just don't make it. Jesse, on the other hand, has been amazing me lately with his culinary skills! A meringue? From the guy who asked me 3 months ago if "the big T meant teaspoon or tablespoon?" Hehehe, I'm loving it! I love Kaylieghs outfit! So fun celebrating with your little one for the first time. What a ham! She will be a perfect model for your blog, haha! ahh you are so cute! I am so happy I get you as a follower! Thank you so much! Looks like you had an awesome valentines! Your little girl Kayleigh is adorable! What a sweet day you had. Found you via Ruffles and stuff. 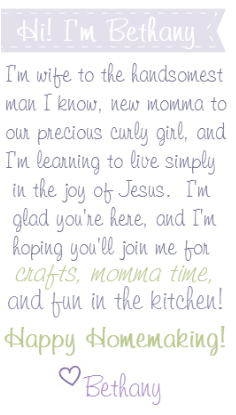 Loving your cute blog. 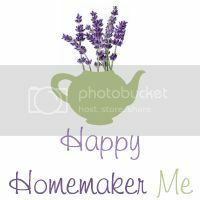 I am hosting a Sunday Blog Hop right now and would love for you to link up. what a sweet story. :) Thank you for sharing. The cake really does look Yummy. I'm your new follower. Thank you for visiting my Facebook page!